The Inside Out Global Photographic Project is a worldwide photographic project based in New York City and founded by French artist JR. On March 2, 2011, JR won the TED prize at the TED Conference in Long Beach, California, and called for the creation of a global participatory art project with the potential to change the world. This project is called INSIDE OUT. Inspired by JR’s large‐format street “pastings”, INSIDE OUT gives everyone the opportunity to share their portrait and make a statement for what they stand for. It is a global platform for people to share their untold stories and transform messages of personal identity into works of public art. Each INSIDE OUT group action around the world is documented, archived and exhibited online. Nearly 200,000 people from more than 112 countries & territories have participated transforming messages of personal and political identity into works of art. The Inside Out Project has recently assisted the presentation of photographic projects in Kenya, Portugal, Scotland, New York City and Mexico. 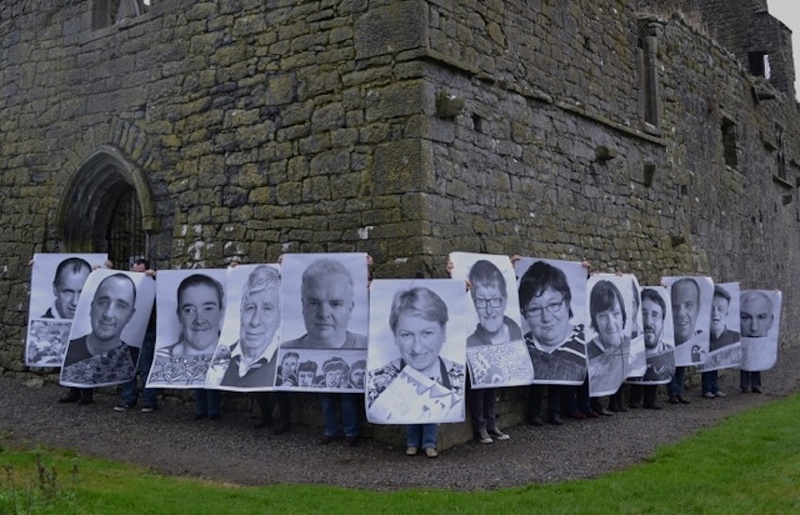 Now the Inside Out Global Photographic Project is about to arrive in Callan, Co. Kilkenny! Artist Gypsy Ray’s portraits of the 14 studio artists at KCAT Art and Study Centre were produced as part of the Inside Out Projects. 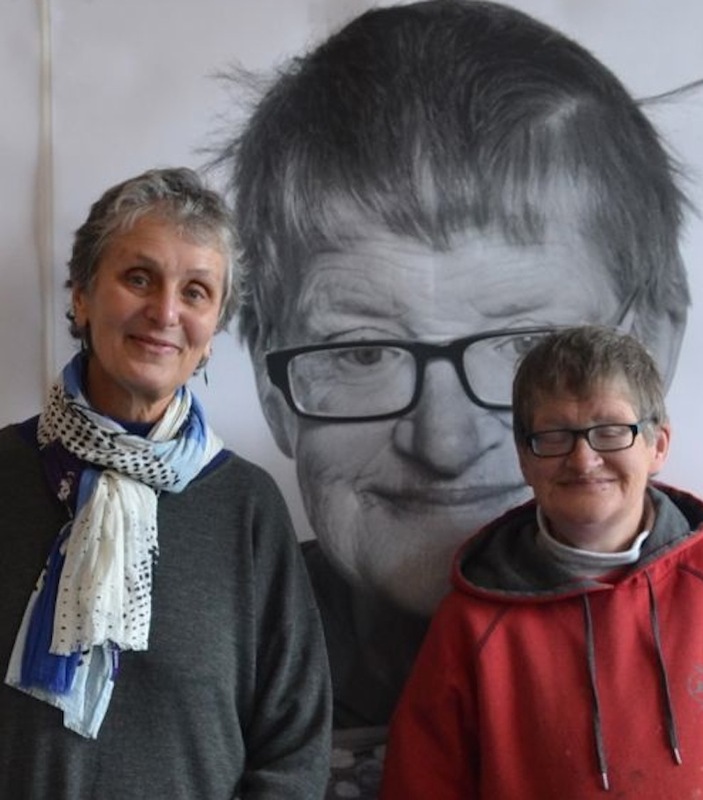 She has teamed up with the KCAT artists, staff and others at the Kilkenny Collective for Arts Talent and along with the broader community of Callan will be displaying these larger than life size portraits on the 11th of December. They will be shown first outside the Art Centre’s building on Mill Lane in Callan and then in various windows along Bridge Street in the town. The title for these images is: “WE ARE! We are ARTISTS. No other labels please.” It addresses the issue that artists who also have special needs are always labeled as ‘special’ rather than simply as the artists they are. The artists here portrayed are dedicated practitioners whose work deserves no special status, just the same careful and critical attention afforded to any other work of art.